The Serbian ruling party and pro-government media have continued throwing insults against actor Sergej Trifunovic, who has been elected new president of the opposition Movement of Free Citizens (PSG) last week. The local branch of the Serbian Progressive Party (SNS) in Vranje, south of Serbia, has “congratulated” PSG “for electing president, an drug addict”, while tabloid Srpski telegraf published a headline on its front page: “Sergej ridicules sick people”. Trifunovic was elected for PSG leader after its former president and ex-ombudsman Sasa Jankovic resigned. Jankovic and some other PSG members have left the movement after Trifunovic became its new head. Trifunovic, who is a vocal critic of the ruling party, has been exposed to media insults and pressure from the government. Last year, the police searched the premises of his foundation for curing sick children due to alleged wrongdoings. 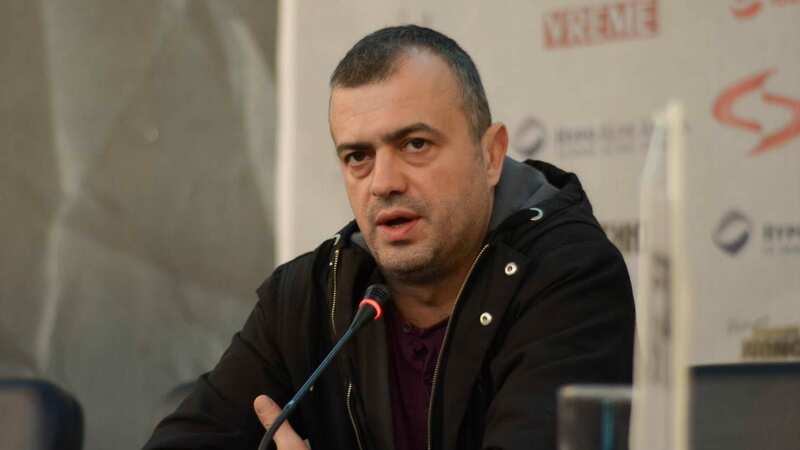 In the interview for N1 television, Trifunovic said on Tuesday that he has entered politics with the objective of “uniting the whole opposition”. “You have been looking for new faces, so here I am”, he said. When asked why he has become a politician, although he is actor, Trifunovic replied that “there’s no faculty for politicians”. “Where do we have faculty for politicians, besides maybe FPN (Faculty of Political Sciences)? I will say that (president) Aleksandar Vucic has graduated in law, not politics. Besides, he didn’t work in his profession a single day”, he explained recalling that former president Boris Tadic is a psychologist. “My colleague Ronald Reagan, a pretty lousy colleague I must say, was the president of the United States in two terms… So I don’t know what is a faculty for politicians. It is obvious that politics is not an profession”, Trifunovic underlined. “I hear such kind of remarks – ‘he’s an actor, he should act, and leave politics to us’ …Politics does not belong only them”. Trifunovic said that PSG has joined the protests throughout Serbia immediately after Sasa Jankovic’s resignation. In his view, protests which take place on Saturdays represent “creating a public able to criticize”.